The internet is very common these days that it has become a necessity in every household and office. 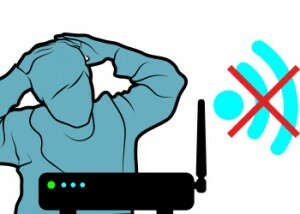 If you have wireless broadband around, you need to know how to troubleshoot it when things become sour. If you have the basic knowledge on troubleshooting your router, you do not need to call for somebody to take care of your internet. But if you do not know what to do when trouble sets in, you should seriously learn how to deal with your router. Configuration: Setting up the router is technical but if you are determined to learn it, you can do it. You should remember that every network is different and getting the settings right is confusing. Configuring routers are sometimes worrisome for experts. The best way is to make use of the easy-setup provided in the package. 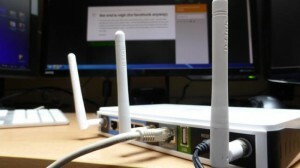 File sharing: You can use your router to share your files. You do not need NAS (Network Attached Storage) to do this. You have to plug the external drive and set up but sometimes it is not that simple. You only need to configure the utility that can work with Mac and Windows systems by setting up the “external shared drive”. You can then connect the drive by keying the IP address. Updating firmware: Firmware is your network’s first line of defence. It should be updated but looking for a trusted vendor is not easy. You have to go to the support site of the vendor and then search for the updated version of your model. After that, you can download the files to your unit and then later upload it to your router’s panel. Remember to place the right upload in the web control of the router. Temporary wireless access: It is good to share your wireless access to your neighbours and friends but you do not want to give more than access, right? You need to secure that other things will not be accessed as well. You should enable temporary wireless access. The best solution here is to change your password at a regular basis. There are routers that offer options that will direct the guests in a special landing page. You can learn more by reading your manual. If you do not want to trouble yourself with this, you can simply call experts and let them fix it for you. Better yet call the support team of your router and ask them to fix.